Did you know that you can hold various forms of physical gold and silver in your retirement account? 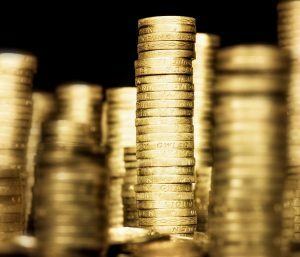 While most people know they can buy gold and silver for personal benefit, many argue that they don’t have the money to do so. The sad part is that many people do have the funds to invest in gold and silver through their retirement accounts, but they don’t know that this is possible. Today, we’re here to tell you that it is possible and to talk about some of the options available to you when you want to invest in gold and silver in an IRA. There are gold and silver coins minted all over the world that can be added to your retirement account. In fact, even outside of the United States, there are many other national mints that produce beautiful gold and silver coins. In addition to the United States, Canada and Australia, Austria also produces coins every year that can be added to your portfolio. Here is some information on coins you can add to your retirement collection. 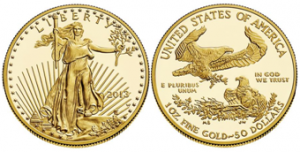 collectible and bullion coin value, Proof American Eagles are bought and sold with a higher premium. One of the greatest benefits of owning certain types of coins is that you can get a premium for scarcity. This is because only so many coins are made at each mint every year. If you look into it further, you’ll notice that, in some years, the price of a certain coin commands a much higher premium relative to the current spot price of the related precious metal. The scarcity piece is the reason for this, and this can really help you amplify your gains. In addition to coins, you can also add gold and silver bars to your retirement account. Two popular makers of gold bars are Credit Suisse and UBS. The benefit of owning gold or silver bars is that you can buy them in higher denominated weights. For instance, you can buy just a 1 ounce bar if your budget is constrained or you can also just as easily buy 10 or 100 ounce bars as well. Of course, with bars you have to buy from a trusted mint where the weight and purity is verified and trusted. 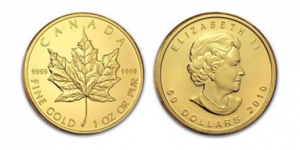 In addition, gold and silver bullion tends to follow closely with the spot prices of gold and silver, so you don’t get a premium for any rarity like you can with coins. As noted here, precious metals cannot be added to a standard 401(k), Traditional IRA or Roth IRA account without converting them into a Self Directed IRA. A third party must set up and manage these special Self-Directed IRA accounts. This means you must find a company that specializes in setting up these accounts, a company knowledgeable in both precious metals trading and storage. Lastly, you must keep yourself separate from any of the assets your plan owns as much as possible. That means you should store any precious metals that you own inside one of these special accounts outside of your business or personal residence. Most plan providers will be able to help you find an independent and secure storage facility or they will store the gold for you in their facility. This is of the utmost importance to keep this type of account from getting taxed and penalized. 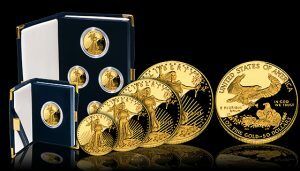 After reading this, we hope you’ll consider adding some physical gold and silver to your portfolio with American Bullion. There are so many options out there and also so many interesting and unique ways to invest in these precious metals that there is truly something for everyone.